Airtel Rs. 199 plan gives 1GB of 4G/3G/2G data and unlimited local & STD calls for 28 days. Reliance Jio’s plan gives 2GB data and unlimited voice calls for 28 days, but there’s no limitation in voice calls aspect on the Reliance Jio network. restriction of voice calls to 300 minutes per day and 1200 minutes per week. Airtel also has a Rs. 178 plan, which also offers similar benefits, but it’s only for new Airtel customers. New Airtel customers can avail this offer with first recharge or second recharge. 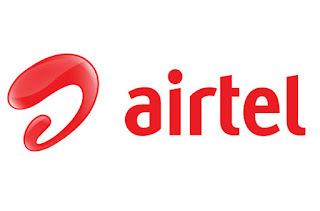 Airtel is also offering a few more plans such as Rs. 349, Rs. 399, Rs. 499, and Rs. 799. The Rs. 349 plan gives 1GB data per day and unlimited voice calls for 28 days. The Rs. 399 plan also gives 1GB data per day for 4G handset users, and just 1.5GB data for non-4G handset users. This plan is also valid for 28 days from the date of recharge. The Rs. 499 plan gives 1.5GB data per day, while the Rs. 799 plan gives 3GB data per day for 28 days. Both the plans offer unlimited voice calls. There’s another Rs. 549 plan that gives 2GB data per and unlimited voice calls for 28 days.